The Texas Medical Board was established to regulate physicians and to hear complaints by patients. It takes its mission very seriously. 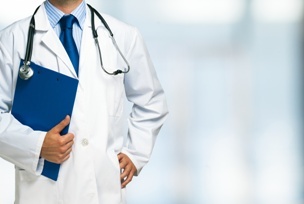 If you are a doctor in the Dallas/Fort Worth area who has received a complaint from the Texas Medical Board, it is important that you take appropriate steps to defend yourself. Your license, livelihood, and reputation are at stake. Take it seriously. No matter what the complaint is, you should not take it lightly. The outcome could be more serious than a malpractice lawsuit because your professional license may be in jeopardy. Notify your malpractice insurance company. You should contact your malpractice insurance company as soon as you receive notice of the Medical Board’s investigation. It is most likely required under your insurance policy. Respond on time. It is important to pay attention to the Medical Board’s deadline to respond to the complaint. This time period is contained in the initial letter from the board notifying you of the complaint. A physician will usually be given 28 days to respond in writing. Provide documentation. In its initial letter or in the course of its investigation, the Medical Board may request certain documents from you. You want to supply them, as well as any other documentation that supports your defense, promptly. Retain an attorney immediately. When you receive a complaint, your first step should be to retain an experienced attorney who has handled investigations and complaints by the Texas Medical Board. He can help you understand what to expect and build a strong defense to the complaint. If you have received a complaint from the Texas Medical Board, attorney Walt Taylor is here to answer your questions and advise you of your legal options. Contact him online or call the office directly at 817.380.4888 to schedule your free consultation with today. Posted on 07/27/2018 What Are Reasons for Disciplinary Proceedings Against Dentists in Texas? ?When must the Texas Board of Nursing suspend or revoke a nurse’s license?